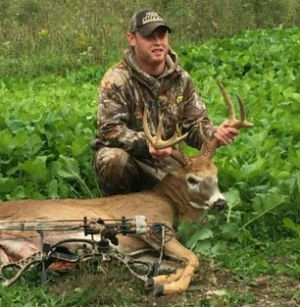 Chad Gridley took this nice 9-point with his bow on October 9, 2016 in Yates County. 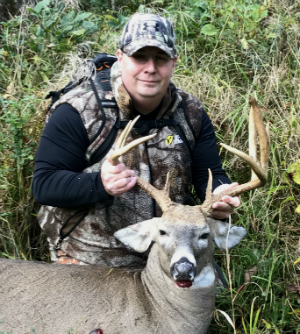 Dave Hilner arrowed this buck on October 9, 2016 in the Town of Alexander, NY... Genesee County with his Mathews Creed XL bow and Rage Hyperdermic Broadhead, shot at 35 yards. 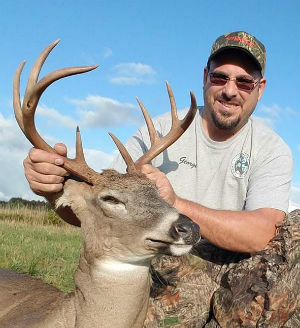 Mike West arrowed this bruiser 11-point in Oct, 9 2016 in Freedom, NY... Cattaraugus County. 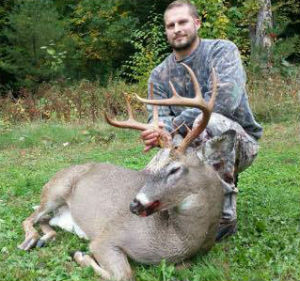 George Danielewicz arrowed this handsome buck on Oct 2, 2016 in Colden, NY... Erie County. 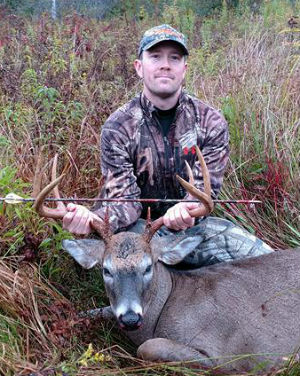 Tyler Sweet arrowed this buck in Chenango County on October 9, 2016. 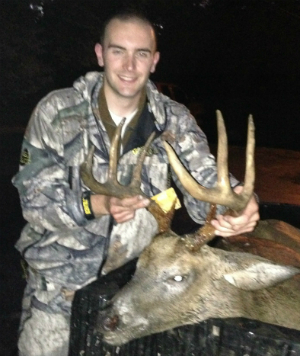 The deer dressed out at 175 lbs. 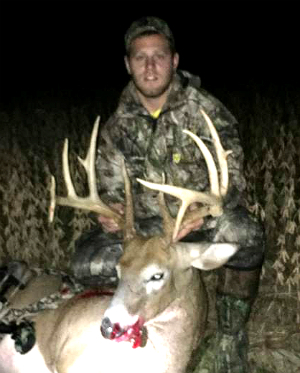 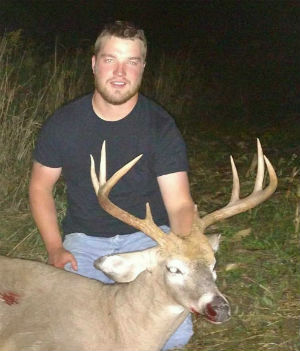 Garett Hamilton arrowed this handsome buck on Oct. 5, 2016 in Steuben County (8X). 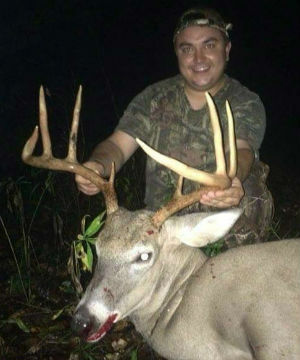 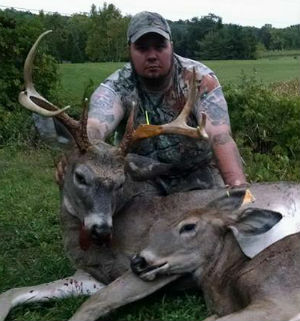 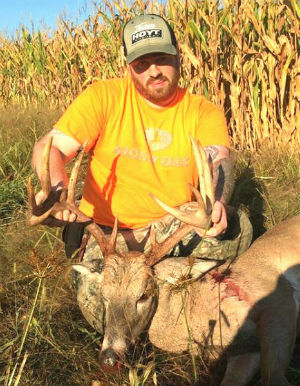 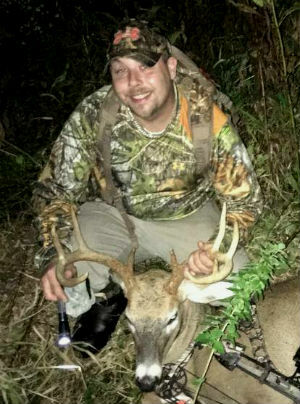 Stephen Andras doubled up by arrowing a buck and a doe on Oct 2, 2016 in Penn Yan, NY... Yates County. 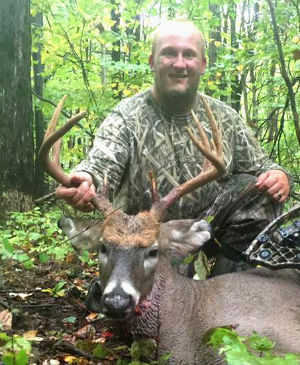 Kyle Berean arrowed this bruiser on Oct. 3, 2016 near Chittenango, NY... Madison County. 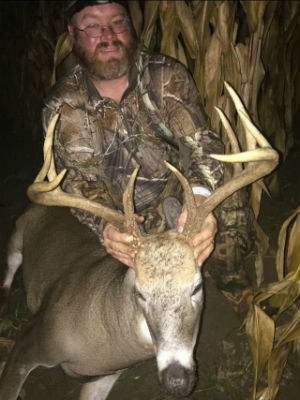 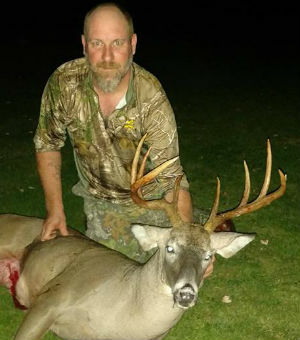 Andy Bennett of Johnsburg, NY... Warren County with a 200-pound, 9-pointer taken opening day Sept. 27, 2016 of the Northern Zone archery season. 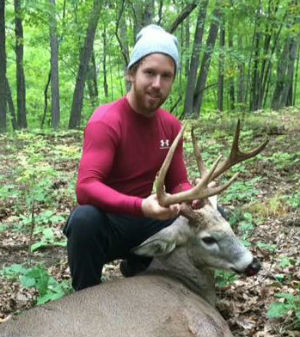 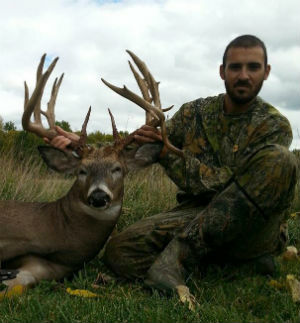 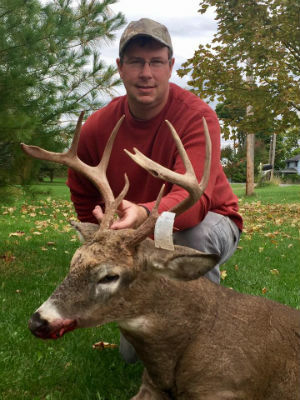 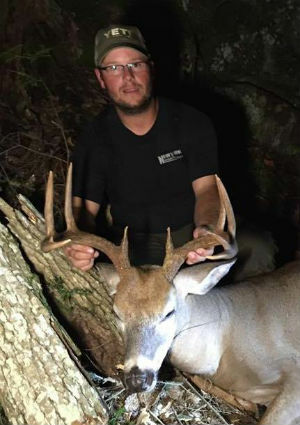 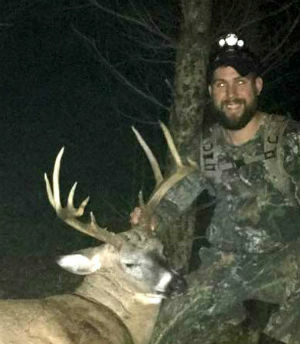 Steven Segouin arrowed this 13-point slammer on Oct. 1, 2016 in Onondaga County. 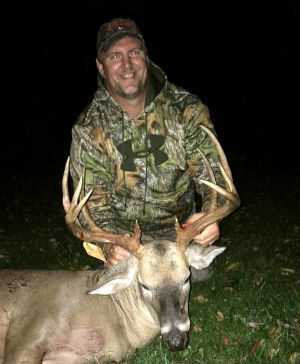 Dan Kessler arrowed this big 13-point in Springville, NY... Erie County on Oct. 1, 2016 with his Mathews "Drenaline". 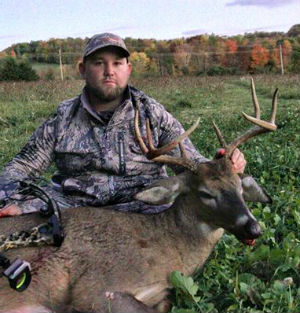 Justin Shireman arrowed this 10-point bruiser on Oct 2, 2016 in Ontario County near Bloomfield, NY. 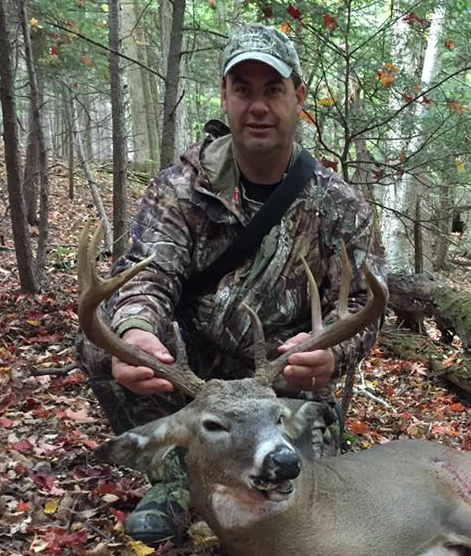 Pete Radliff arrowed this buck on Oct. 1, 2016 in Schoharie County. 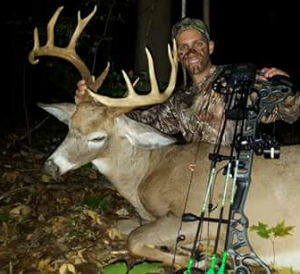 The buck has an 18.5" spread, dressed at 175 lbs. 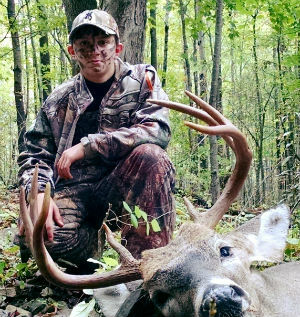 Kole Schmerder arrowed his first bow buck on Oct. 1, 2016 following a doe in Broome County... Town of Binghamton . 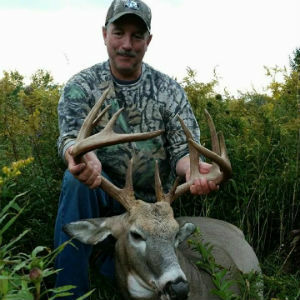 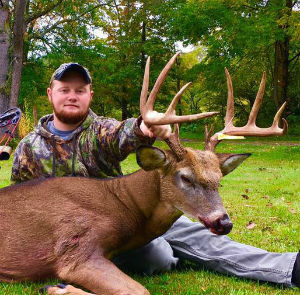 Joe Meyer arrowed his biggest buck ever today Oct. 1, 2016 in Hannibal, NY... Oswego County. 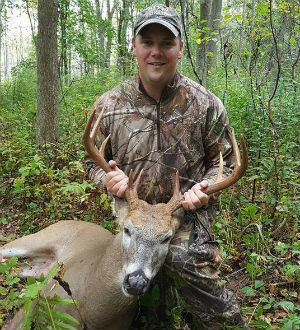 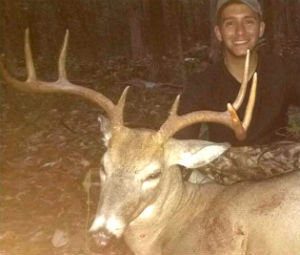 Jake Porada arrowed this wide antlered 8-point in Orange County, NY on Oct. 1, 2016. 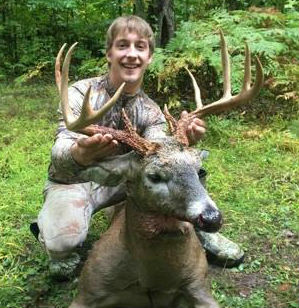 The buck has a 20" spread and weighs it at 200 lbs.